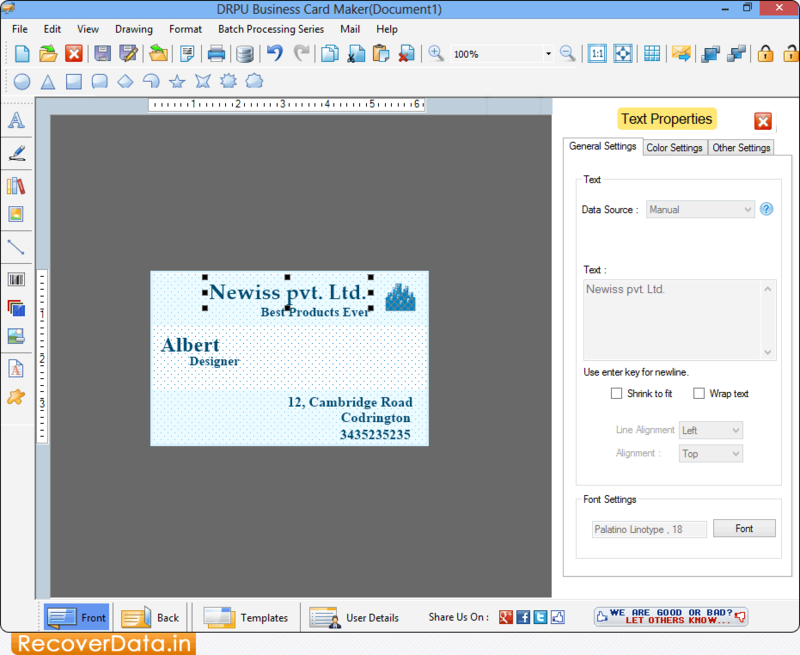 Business Card Maker software generates and prints cards in various shapes including rectangle, rounded rectangle, ellipse etc. Business Card Generator tool designs business cards from your Home or Office PC with flexible print settings. Business Card Designing software creates and prints premium business cards as per specific business needs. Business Card Designer software creates visiting card using image designing objects like line, ellipse, pencil, rectangle, picture, arc, triangle, star objects, etc. Advanced color and background settings : Business Card Designer tool prints professional quality membership cards with advanced color and background setting including solid color, gradient, image and style settings. Inbuilt data set series facility : Card Creator tool provides inbuilt dataset series feature to generate a bulk number of cards in random, sequential or constant value series option. Flexible printing settings : Business Card Creator application is integrated with printing feature to print business card in various shapes.